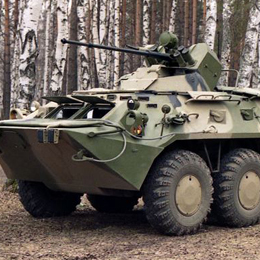 The TIGR’s armored monocoque hull provides protection against small arms fire, shell fragments and IED blasts. The hull and door windows are bulletproof and the interior spall liners protect personnel against spalls if the hull is hit by bullets or fragments and exclude ricochet from the opposite side if the hull is pierced (STANAG 4569 Level 2). 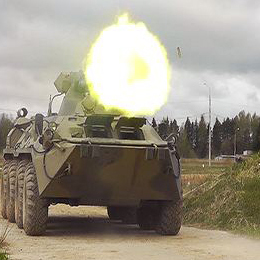 Fire support on counterterrorist operations can be provided by firing the infantry machinegun from the vehicle’s roof. 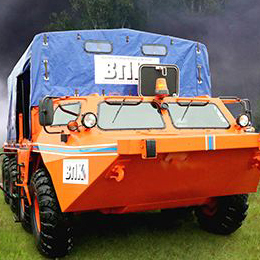 For this purpose, there are two hatches covered by a single-piece armored cover. 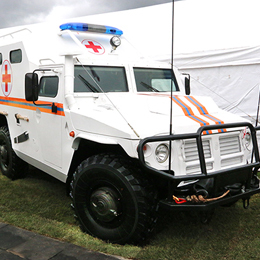 The TIGR SBM VPK-233136 is powered by the 215-hp YaMZ-53472-10 multi-fuel diesel engine. Its cross-country ability was increased considerably due to a new design of the axles fitted with locking geared bevel differentials. 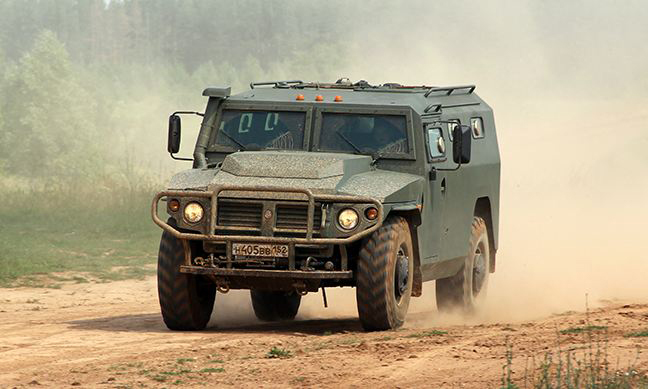 The effectiveness of the braking system was enhanced by means of advanced braking mechanisms and the auxiliary exhaust brake with the pneumatic actuator controlled from the driver’s station. 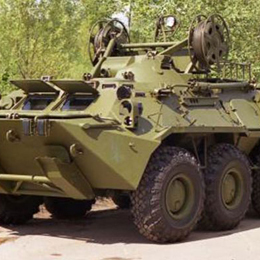 The engine compartment of the TIGR SBM VPK-233136 carries automatic fire suppressant system.